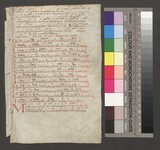 Several fragments from a twelfth-century gradual are recognised on the basis of their shared palaeographical and codicological features as belonging to one original manuscript. All fragments were used in bookbindings from the benedictine monastery of Mondsee. 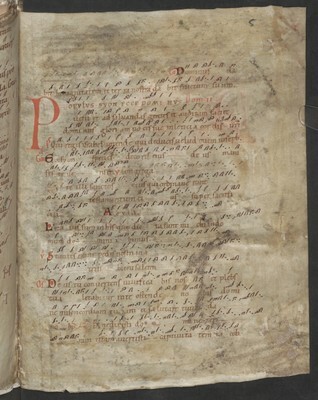 The Carolingian minuscule (showing some praegotic features) was written by the same scribe responsible for another Mondsee manuscript – an antiphonary, which can also be reconstructed through fragments. 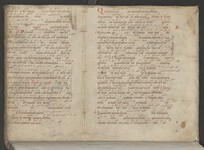 Our manuscript was written in Mondsee probably in the time of the monk Liutold, who was directing the scriptorium in the second third of the twelfth century. The content of this gradual corresponds to the instructions of the Hirsau monastic reform. Through the reunited fragments this reconstruction represents roughly two thirds from the original gradual.